Actuary Hugh Miller outlines the benefits of improved data linkage and outcome collection, and transparency in how government uses data, to the effective spending of $300bn per year on welfare services. Despite the bluster that can emanate from our parliaments, I believe the Australia’s major political parties have far more in common than it may appear. One similarity is the acceptance of government’s role in providing a broad range of services to improve the welfare of Australians. Income support, health, crime & safety, child protection, housing support and health are all areas where government spending aims to improve people’s lives, particularly for the most disadvantaged. There are substantial sums of money devoted to this – more than $300b per year. With such large amounts involved, fiscal concerns are never far away. In particular, spending growth in age pensions, health and disability sectors need to be sustainably financed. A second similarity is the recognition that data and evidence are vital in assessing whether this money is being spent effectively. There are big trends afoot in the management of government services as a result. Data and analytics have influenced government just as they have transformed other industries. Longitudinal datasets allow governments to see patterns of usage over time and better understand disadvantage. These can also highlight the immense concentration of costs in some sectors. For example, most violent crime is committed by a very small fraction of the population. Better use of models and evaluation allow assessment of how effective programs are, and which services work best for who. Another important trend in government services is a focus on outcomes – not just whether a service was delivered, but whether it achieved the desired effect of the recipient. One example of this is the employment services sector, which was de-centralised in the late ’90s by the Howard Government. Whatever your views on outsourced business models, one benefit of this move was the improved data collection on job seekers and the monitoring of their employment outcomes for six months after exiting welfare benefits. This setup (and the related incentive payments to employment service providers) means that we can meaningfully talk about sustained employment. Outcomes are increasingly cross-sectoral, too. We know that the most disadvantaged often have complex needs across a range of services. Many people are interacting simultaneously with the housing assistance, income support, health and justice systems. Being able to recognise this and measure how providing stable housing can improve health or reduce offending, say, is a big step forward. These trends have profound implications for the delivery of services. Service targeting is one area where data models allow governments to focus their spending more effectively. We know that wellbeing across Australia varies significantly, which limits a one-size-fits-all model. Offering more intensive tailored support to some locations or population cohorts is one way to improve outcomes. Prevention is another key area of activity. We instinctively know that prevention can be cheaper and better than cleaning up a mess afterwards, but it has been difficult to prove the value of prevention programs without good longitudinal datasets. Better measurement of long-term impact has inspired the ‘investment approach’. 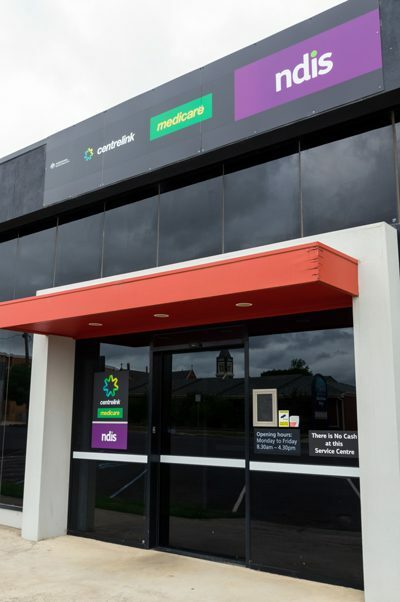 This started in New Zealand as a program to reduce long-term welfare dependency but has now been applied much more broadly to the Australian welfare system, and the justice and child protection sectors, for example. Its core premise is that we can estimate the future savings of an effective intervention now. Knowing someone will likely need $300,000 in benefits over their working-age lifetime makes the cost of a vocational education course look reasonable. Significant innovation in the sector is also being supported by governments, with social impact bonds a good example. These allow private investors to invest in government services, with variable returns depending on program effectiveness. The advantage here is that focus is maintained on rigorous evaluation and outcomes and, importantly, learnings can be applied more broadly. I believe these trends are broadly good and will continue. However, there is much that can be done to accelerate progress. First, data linkage in Australia is still haphazard. It is time consuming and expensive to answer questions such as what proportion of welfare clients have chronic health conditions, or how heavily homeless people are interacting with the justice system. The State-Commonwealth divide contributes to this, but even cross-department linkage within a jurisdiction is a challenge. In New Zealand, such datasets are routinely linked by Stat NZ, so that once privacy and governance issues are addressed, accessing the data is far more straightforward. There is also more that can be done on outcome collection. Many sectors, such as health, are heavily geared towards measuring activity rather than collecting downstream outcomes. Following up with people months after a service is time consuming and challenging but often the only way to establish if the service is having the desired impact on people’s lives. Technology offers ways to make such collection significantly less painful. Finally, there needs to be continued dialogue around transparency and trust in how government uses data. If governments are using analytics and evaluation more extensively, this should be communicated appropriately to the public, including cases where programs are found to be ineffective. There are also ethical issues in much of this – many people are comfortable with the concept of targeting spending towards the disadvantaged, but this does introduce potential inequity in access to services and there is a need to check people don’t fall through the cracks. And trust also requires proper privacy protections; people have the right to have their service usage data safeguarded. I’m optimistic that Australia’s politicians across the political divide and ably supported by a dedicated public service, are up to the challenge of improving government services to better the lives of Australians while balancing the budget. 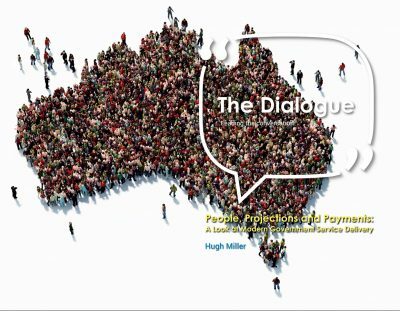 Read Hugh Miller’s Dialogue thought-leadership paper ‘People, projections, and payments: modern government service delivery’ published in September 2018.